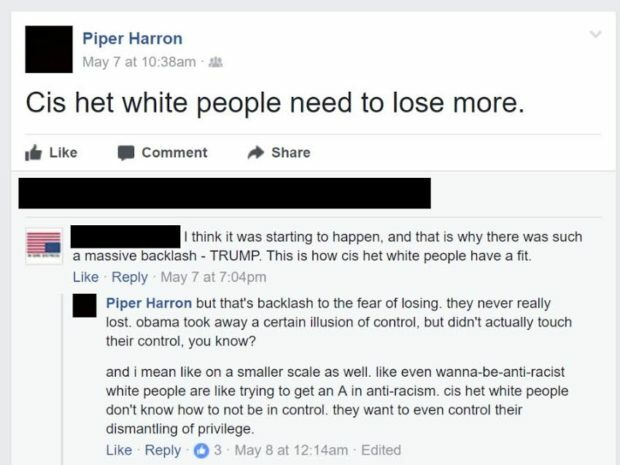 The University of Hawaii professor who wanted universities to stop hiring white men also said “I don’t trust white people” and “cis het white people need to lose more,” according to screenshots obtained Friday by The Daily Caller News Foundation. “As long as police are trained to murder, they will never be convicted,” said Harron in another June Facebook post. The professor equated the ideas that women might not be interested in leadership, STEM or sports and that autism warrants concern to “violence” in a lengthy June Facebook post. Meisenzahl also directed TheDCNF to a message sent from University of Hawaii president David Lassner to the college community in which the president expressed similar sentiments. TheDCNF reached out to Harron for comment, but received none in time for publication.